Smiles all round after an evening keyboard recital by organist Alex Ord boosted the funds of St Alban’s Church at Trimdon Grange by £176. The recital in the church featured music by Bach, Mozart, Schumann, Debussy, Liszt and Grieg. 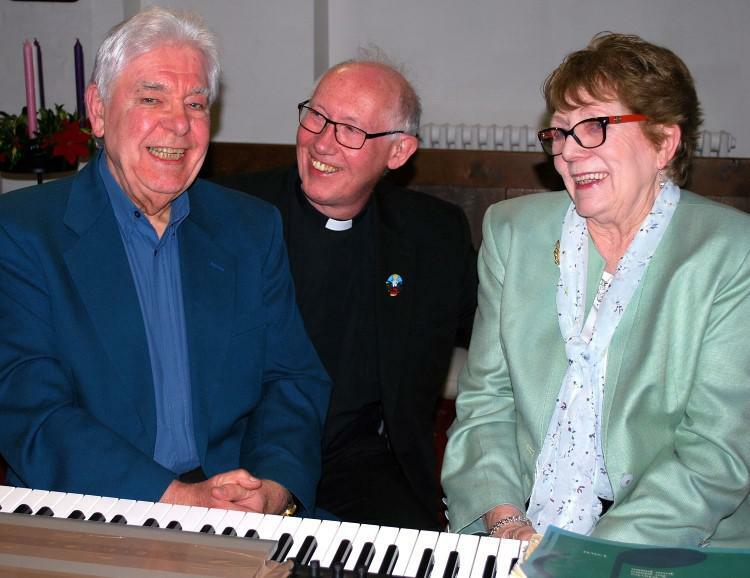 Alex (left) was assisted by Doris Pearce (right) and was thanked by Upper Skerne Team Rector Father Michael Thompson (centre) who described the recital as “truly wonderful”. There was special thanks for organisers Sylvia and Malcolm Rutter. MC for the evening was Ferris Brown.